Going by the gossip pages, all Priyanka does is shoot for Quantico, get drooled over by Hollywood at glamorous dos and take sunny holidays. As tourism ambassador of scenic Assam, she had no less fun at Jorhat. 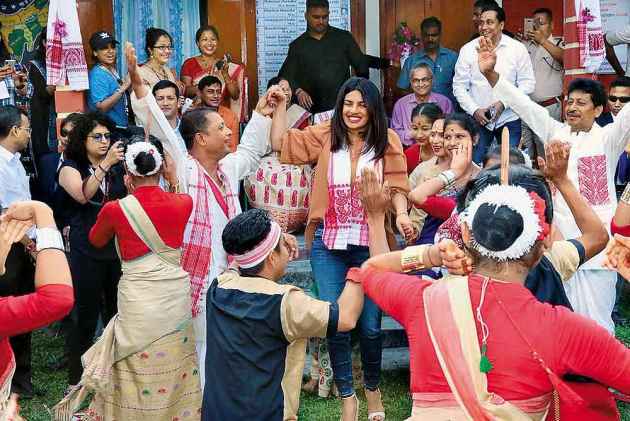 At a girls high school, Priyanka joined in with students for a spot of Bihu. And she doesn’t look the snooty fashionista too. Stadiums lit up at night and thronged by multitudes...in Ker­ala, they have a passion for sevens football, and African players are a staple. Sudani from Nigeria, a Malayalam film hea­­­­­­ded for Cannes, throws the spotlight on it. Here, director Zakaria Mohammed is seen with actor Samuel Robinson. If you think Farida Jalal only did matronly supporting roles, watch her making eyes in Aradhana. The veteran of over 200 films was honoured by the Dadasaheb Phalke Film Foundation Awards. Keeping her company is Manisha Koirala, a heart-throb as ever. Once they thought there was a danger that Virat Kohli might let his on-fi­eld intensity dominate him. No such fear now. Though RCB loses match after match, the skipper is as cool as ever. 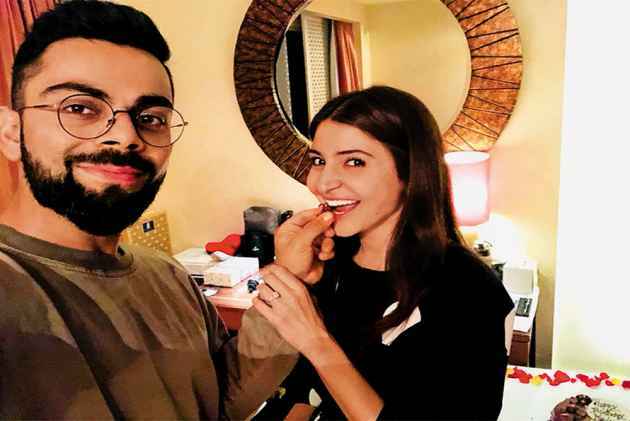 This Insta­gram photo, showing him feeding Anushka a piece of her birthday cake, proves the point. We know of musicians, writers, mathematicians being boy geniuses. Somehow, painting seemed immune to prodigies. 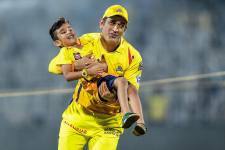 Advait Kolarkar, 4 (! ), breaks the mould. 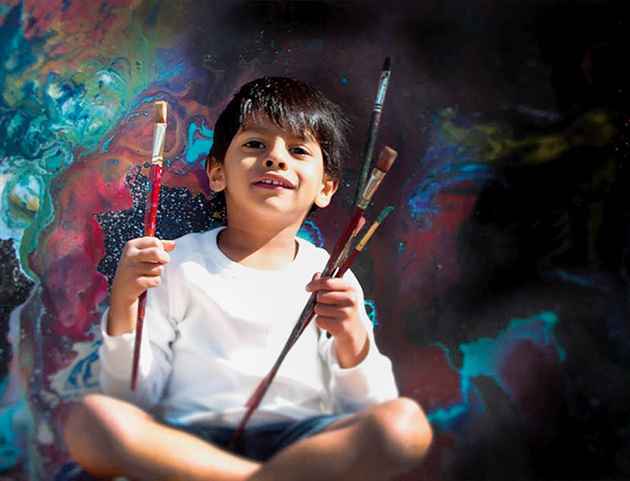 His canvases, inspired by galaxies, dinosaurs and dragons merited a solo exhibition in his hometown, New Brunswick, in Canada, and then was displayed at the ArtExpo in New York. And no, he’s no Vin­cent in the garret. Advait is already selling his stuff for thousands of dollars. Banita Sandhu grew up in Wales on a diet of Shahrukh and Aishwarya. How she got spotted and was cast by Shoojit Sircar in October we don’t care about. What matters though is her Lily-white freshness in the face of the blinding arclights of Bolly­wood that sweetened many a soft drink in cinemas. 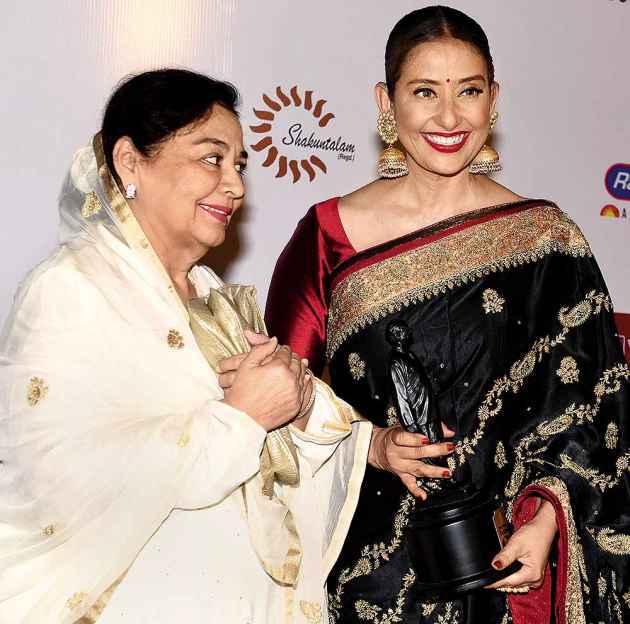 Other than expre­ssing sincerity, Banita says she would like to work with Aamir, Irrfan and Alia. Actor Ashley Judd has filed charges of defamation and sexual harassment against disgraced Hollywood producer Harvey Weinstein. Judd, who was one of the first to speak out during the #MeToo movement, says Weinstein was the reason she lost a part in the Lord of the Rings after earlier refusing his advances.